A broken mala is meant to symbolize a broken karmic cycle, a time to let go and an opportunity to move on. 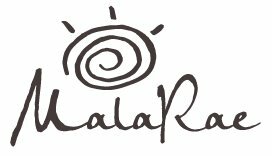 At MalaRae, we believe in repairing your mala one time to ease the transition of letting go and to give you time to find a new intention. To see if your mala qualifies for free repair, please see our repair policy. Read more about what it means when a mala breaks.